Dieting isn’t just about what you eat, but also about your overall lifestyle. I’ll be the first one to admit that there are a number of aspects of my own lifestyle that are detrimental to my weight. I know that I need to sleep more (on average) and that I need to get more exercise. So when you’re talking about equipment for dieting it’s not just about tracking what you eat, but also tracking other aspects of your life, as well as cooking decent wholesome food. It’s fairly common these days to see people using activity trackers like the Fitbit. 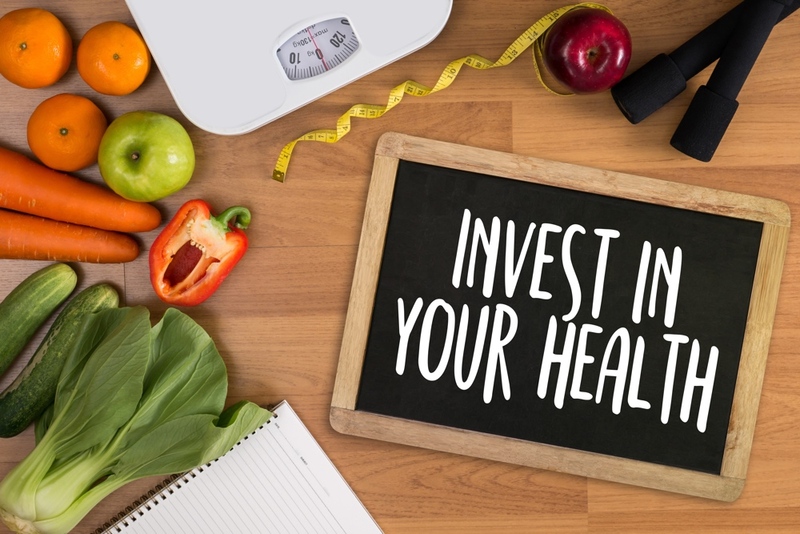 They’re not expensive especially when you realise that investing a little in your personal wellbeing is usually a lot cheaper than a trip to the doctor! I obviously track my movement with the Fitbit, but the other thing that I really keep a close eye on is my sleep. I’m trying to get a bit more sleep every night as I know that lack of sleep has a negative impact on weight loss as you tend to eat badly when you’re tired plus sleep is needed to keep your body healthy. As I’ve mentioned before, I use MyFitnessPal as my “hub”. It’s not the only show in town, but it works well for my purposes. The key thing is you’ll need something to track your macros as accurately as possible. Using an app like MyFitnessPal, LoseIt or any of the other popular apps and services on the market means that you can leverage their extensive databases of food. You’ll probably find that none of them are 100% accurate and that sometimes you’ll need to choose a “generic” option, but as long as you track your intake fairly closely you should be fine. A lot of my friends who have lost weight recommend taking a few photos of yourself at various stages of your diet, so that you can have a visual record of your progress. Not essential obviously, but it can help motivate you. You won’t need anything more complicated than your mobile phone for that one. I’ve taken a couple of shots of myself and I plan to take a photo about once every week or two as I go along. It’ll be interesting to see whether the changes are noticeable or not. But what about actual equipment? You’ll need a weighing scales. Personally I like the Withings, as it’s able to automatically record my weight and a few other metrics directly to MyFitnessPal. 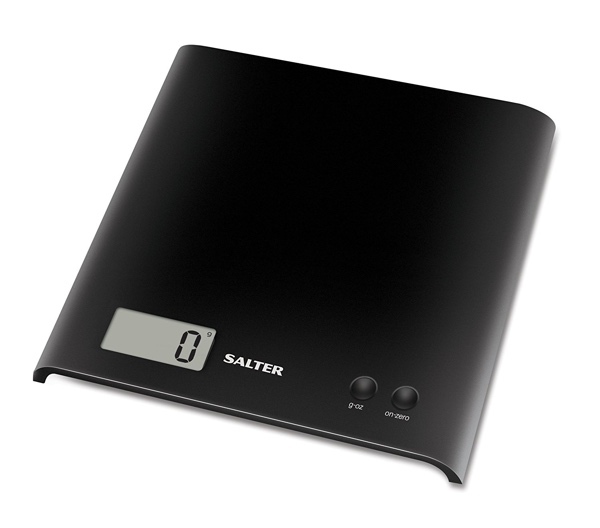 If you don’t feel like forking out for a wireless weighing scales you don’t have to. Just make sure you’ve got an accurate scales with reasonable graduations so you can easily see your progress and keep track of it. Personally I like digital scales as there’s zero ambiguity about what they’ve captured. Tip: make sure that the scales is on an even surface or you can easily end up with inaccurate readings. As for the rest of your kitchen equipment – that’ll be up to you and how much you want to spend on it and what kind of food you like cooking. You will need things like a decent measuring jug and to preserve your sanity measuring spoons and cups. A lot of recipes, particularly American ones, refer to “cups” or “1/2 cups” of various ingredients and unless you want to spend your life calculating what those measurements mean in grams etc., the measuring spoons and cups will save you a lot of time and frustration. a food processor – very handy for making quick work of pancake batter or making sauces and many other things. Apart from the above the most important things you’ll need are patience and a strong will. I’ve been using the Fitbit for the last couple of months and take it pretty much everywhere, which is what you’re meant to do. To date I’ve been able to see how damn lazy I am.. seriously.. So a friend has decided to challenge me. The challenge is pretty simple, at least “on paper”. Do 2 million steps in 2013..
Now let’s see how I do .. Since I got a wifi scale (the Withings) I’ve been weighing myself almost every morning. The scales sends the data to the online service and then I’m able to access it on my iPhone or via the web interface. But what about burning calories? Sure, you can track walks and other specific exercises / activities using a number of apps. But you have to explicitly decide that you are now “doing” exercise. As for sleep .. the more I read about healthy lifestyles the more I realise that “sleep” is an important part of it. So the Fitbit Ultra seemed like an attractive idea. Several of my friends have got them over the last year and they all love them. I wasn’t sure if it was really for me, but the price dropped a bit and so I decided I’d give it a go. I only got it yesterday so at this stage I don’t have much data to go by, but so far I’m impressed with the device’s functionality. It’s small. You can clip it onto your belt, shirt or some other part of your body or garments. It’s light. You won’t notice it’s there – my one worry being that I’ll drop the damn thing and not realise it. 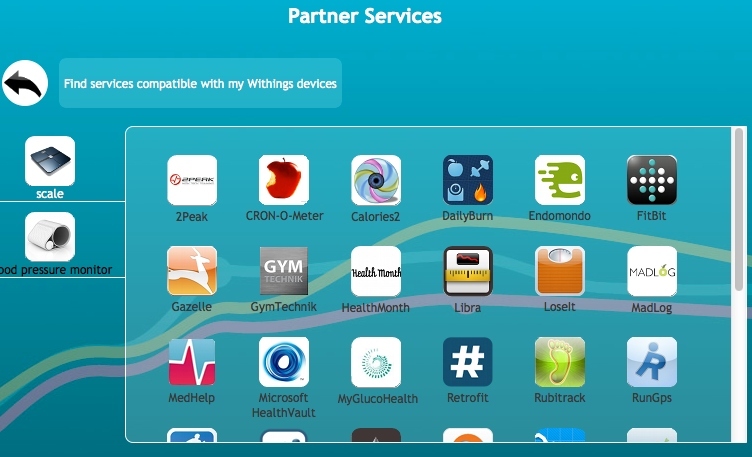 It can work with the Withings, so the two devices can share data about my overall “progress” or complete lack of it. Once I’ve got a bit more data I’ll have a better idea as to how well it works. Maybe I’ll love it, maybe I’ll find it completely pointless, but I need to give it a go. I’ve been using a withings weighing scales since January. I tend to weigh myself almost every single morning, so I can really get an accurate overview of how my weight fluctuates over time. While it’s fascinating to look at it it can also be quite disheartening. My weight isn’t going down as quickly as I’d like and so I’m not as motivated as I was originally. Progress helped to keep me motivated. Lack of it is putting me off. One of the important things about losing weight, for me at least, is motivation and my general attitude. When I decided to do something about my weight I had to “go all in”. That doesn’t mean that I was going to do anything insane or completely radical, as I knew that wouldn’t really work. What it meant, however, was a change of attitude about a number of things. There’s a number of reasons, but a very simple one is that I wanted to “feel good”. I’d also like to look better. Being able to look in the mirror or look at a photograph of myself and not cringe would be a nice feeling. Part of that overall “feeling” is reflected in how you dress and how you generally feel. Put another way. If I wasn’t “happy” then I was going to have problems. I can’t get motivated or retain the self-control etc., to stick to a diet if I’m not relatively happy. I don’t know if there are any “tricks” in this, but I do know that if I was on a diet where I was eating food I didn’t like I’d be pretty miserable! Watching the graphs on the Withings is pretty cool (I even installed the iPhone app so that I can check it from time to time!) and keeps me motivated. The worrying thing, however, is realising just how much weight I’d put on over the last 3 years. I wasn’t sure if the Withings was going to be worth the outlay, but after talking to several people, both on the comments here and on Facebook and other media, I decided I’d get one. Because I’ve been recommended to weigh myself every day and if I’m tracking weight loss (and getting nice graphs) on one of the many web based services I really don’t want to have to login manually and update. Yes. I am that lazy. Or put another way, I’m that much of a geek. If I can automate something I will. Setting up the Withings is pretty easy and the instructions are idiot proof. To be honest the hardest part of the setup was removing the cover of the battery compartment on the back of the Withings. It’s not that hard to open, but it slides and you do need to apply quite a bit of pressure to open it. My main fear with battery compartments is that I’ll be too rough and break the clips and be left unable to close them after..
You go to the site, create your account, download the software that handles the connection, follow the instructions and you’re pretty much done. 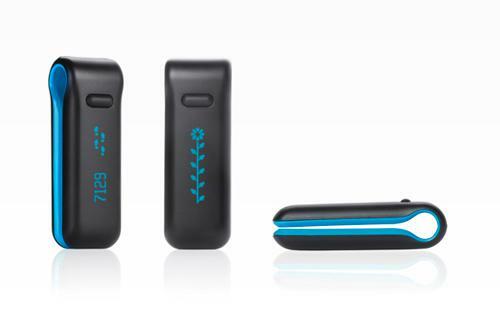 The Withings will work with multiple users on the same device, but you need to tell it about yourself during setup, so that it can work out who you are. At the moment I’ve got mine “talking to” DailyBurn, though I’ll have to find an alternative, since DailyBurn is primarily based around Imperial measurements, which I don’t understand, and everything I’m doing is based on kilos. After setting up the Withings I wanted to see how it worked, so I popped it in the bathroom, where it will probably end up living, and weighed myself. I’d already done a weigh in this morning, but I wanted to see what else it did. I’m not sure if it’s just me being a real geek, or if other Withings owners have the same experience, but the first weigh in was really cool. I assume the BMI calculation is based on the height measurement I gave it, though I’ve no idea how it’s able to work out what it does, though it looks pretty accurate. For the graphs and other stuff to “kick in” I’ll obviously have to wait a few days and do a few more “weigh ins”, but I’m impressed with it so far. Is Withings Really Worth It? The Withings scale, or as they like to call it – Wi-Fi Body Scale, looks like a really nice device, but is it that much better than a normal bathroom scales? I currently have a very functional scale. 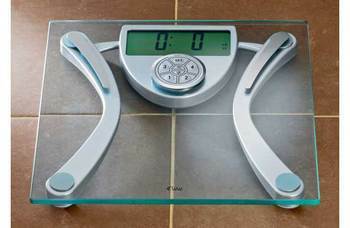 The Weight Watchers Body Monitoring Electronic Scale, which I picked up in Argos a couple of years ago. It works. It can weigh me. Do I really need anything more? But, there’s always a “but”, the withings device costs a hell of a lot more than what I paid for my current scales. Even with a discount code (there’s several floating around online) it still ends up costing around €150 including shipping. So what can it do that makes it that much better than simply plugging the details ie. the weights into one of the web services that I’m already using?